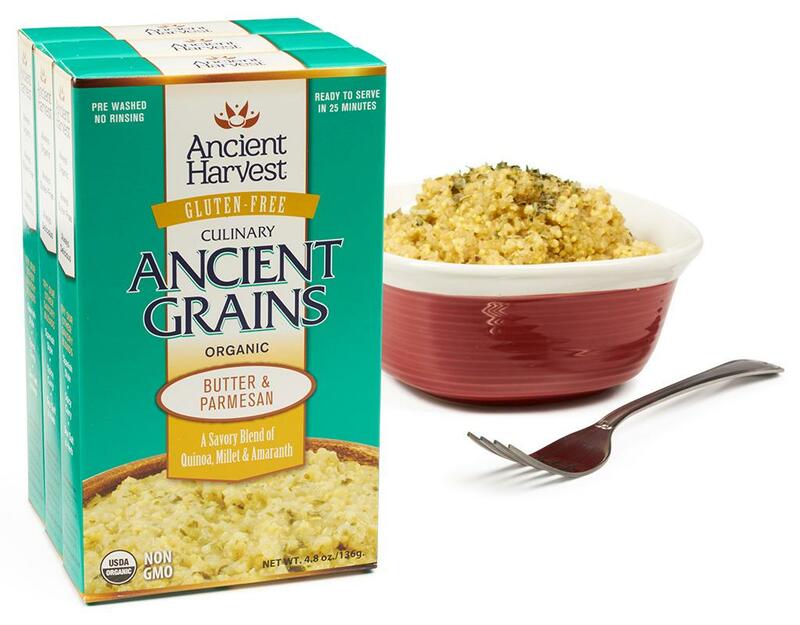 Who knew so much tantalizing taste could come from something so good for you? 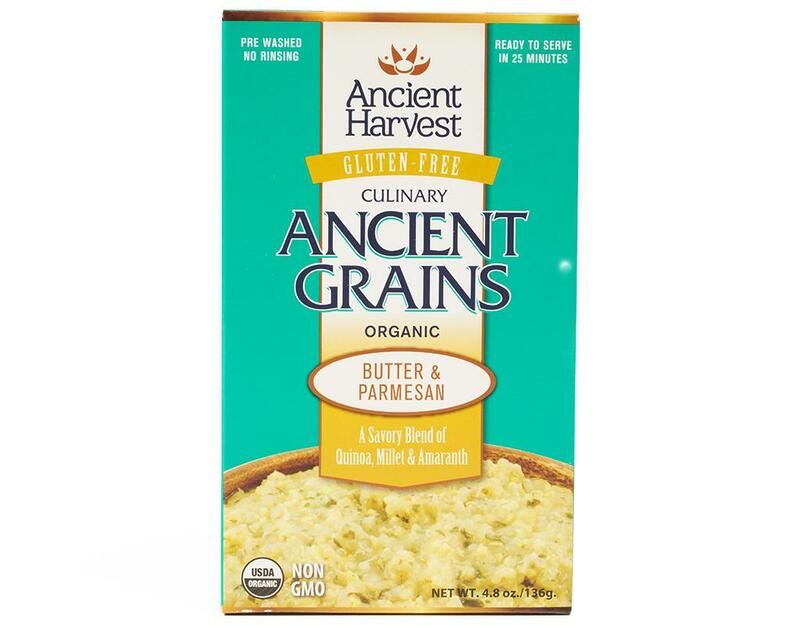 Ancient Harvest knew, that's why they perfected the recipe for gluten-free dinnertime delight. 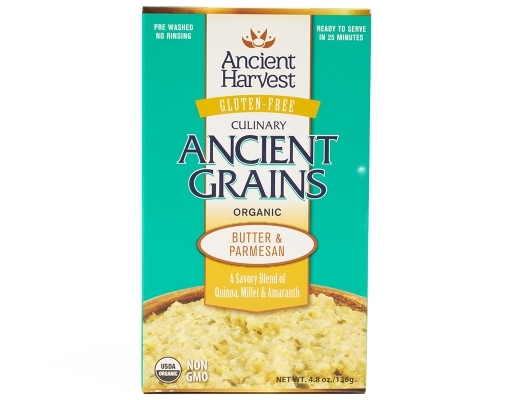 Start with organic quinoa, amaranth and millet, add rich butter and tangy Italian cheese and name it Culinary Ancient Grains Butter & Parmesan. These Culinary Ancient Grain blends up the yum factor with whole grain quinoa, millet and amaranth. 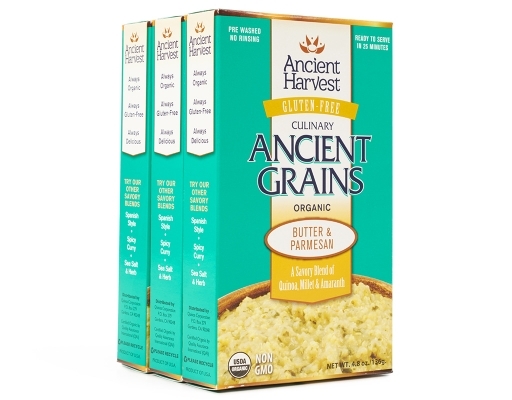 They don’t call it an ancient grain for nothing. 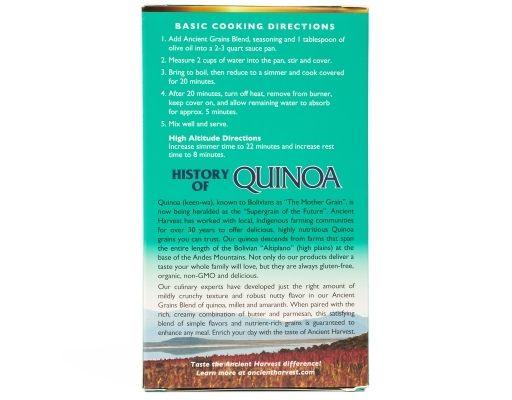 Quinoa, pronounced keen-wa, is a flavorful, wholesome grain that was first cultivated in Bolivia thousands of years ago. 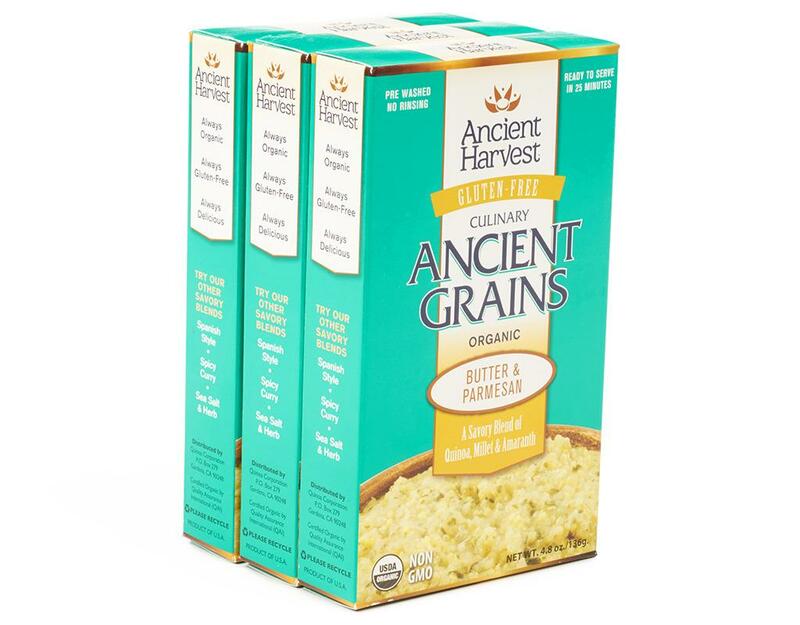 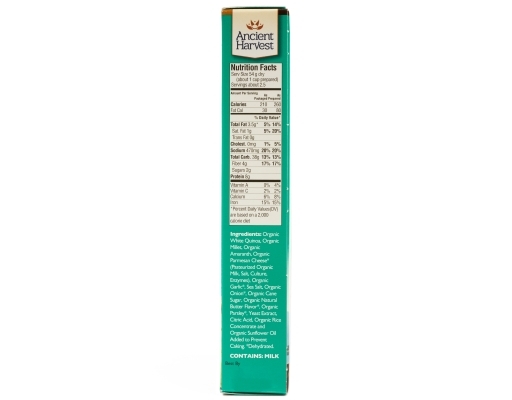 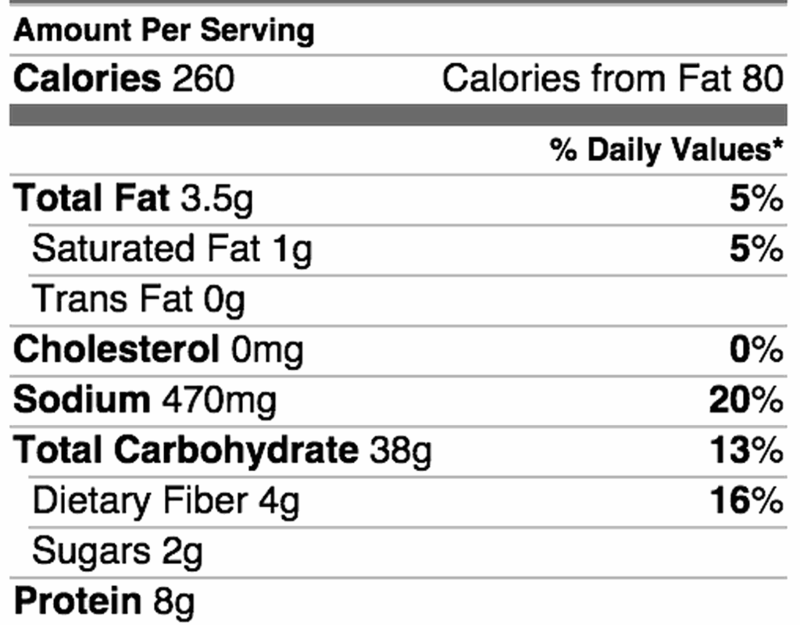 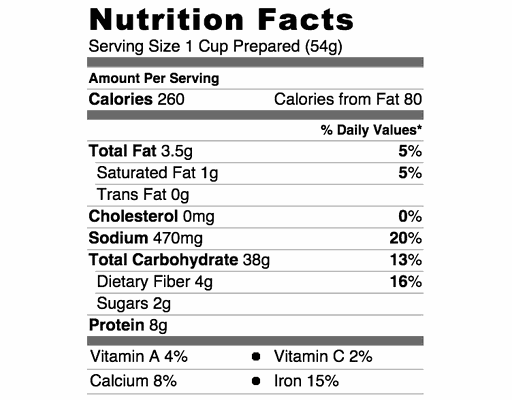 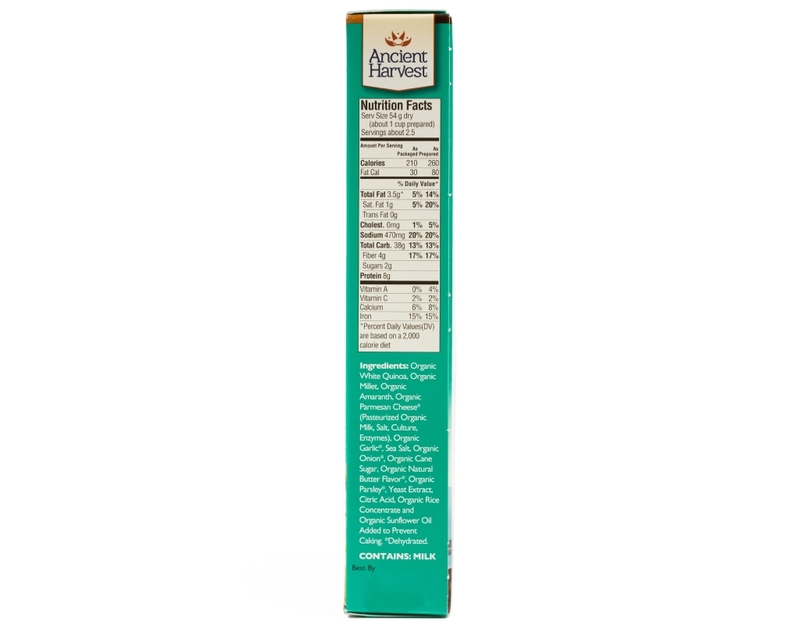 Ancient Harvest quinoa is not only gluten free, it is also organic, non-GMO and a good source of plant-based protein. 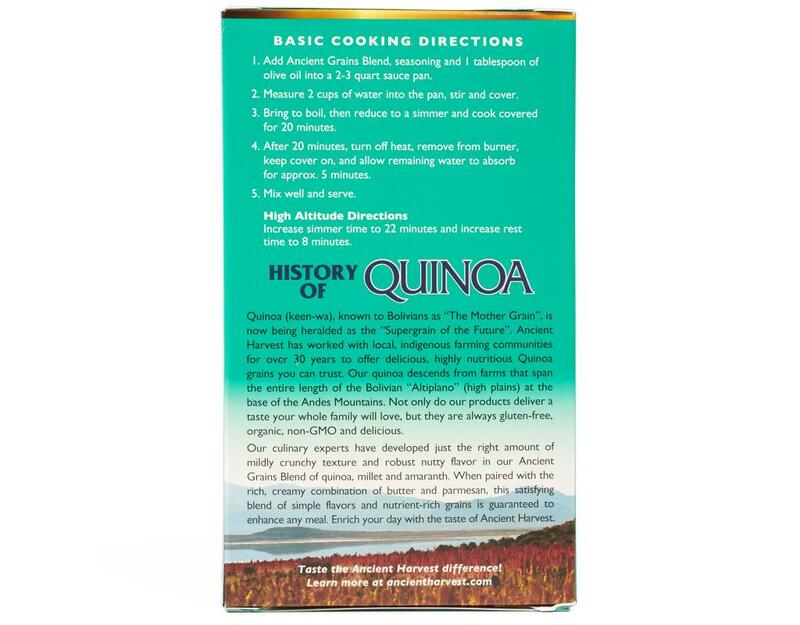 So thanks to this legendary superfood, now you can invite total taste, versatility and nutrition to tonight’s kitchen table.